You have to wonder what was in Jon Landau’s mind when he made this statement in a 1974 article in The Real Paper: “I saw rock and roll’s future, and its name is Bruce Springsteen. And on a night when I needed to feel young, he made me feel like I was hearing music for the very first time.” At that time Bruce had released two critically-acclaimed but commercially unsuccessful albums (“Greetings from Asbury Park, N.J.” and “The Wild, the Innocent and the E Street Shuffle”) and “Born to Run” was just a twinkle in his eye; either Jon Landau was incredibly prescient or he made a very lucky guess. Whichever way you look at it, surely even Landau wouldn’t have predicted that The Boss would still be playing stadia and arenas forty years later. 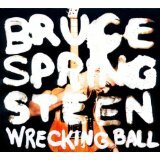 The band on Springsteen’s “Wrecking Ball” tour, now in its second year, includes five musicians (Max Weinberg, Gary Tallent, Roy Bittan, Steve van Zandt and The Boss himself) from the “Born to Run” album which was released in August 1975. However unlikely it is, that’s why I’m in the Olympic Park in Stratford to watch the E Street Band for the first time as part of the Hard Rock Calling festival on a rare sunny summer day in London. The Boss is one of those artists I’ve loved since the very early days but always avoided seeing live. I know this sounds weird but there are artists whose work I love so much I didn’t want to see them live and possibly be disappointed. You have to admit there’s a kind of twisted logic to it. Anyway, call it the bucket list if you like but I finally saw sense this year and decided to go to the Hard Rock Calling gig. The support line-up of the Zac Brown Band (great country music throwing in “Kashmir” and “The Devil Went Down to Georgia” towards the end of the set), Alabama Shakes and Black Crowes who dropped a Georgia medley of “Hard to Handle” and the wonderful Joe South song “Hush”. And then it was time for the The Boss. The E Street Band hit the stage slightly early with a high-powered version of the “Wrecking Ball” song “Shackled and Drawn” which slid straight in to “Badlands” and the audience were hooked from the start. As usual, Bruce picked request placards from the audience, walked back up to the stage, showed the band the card and immediately launched into the song. 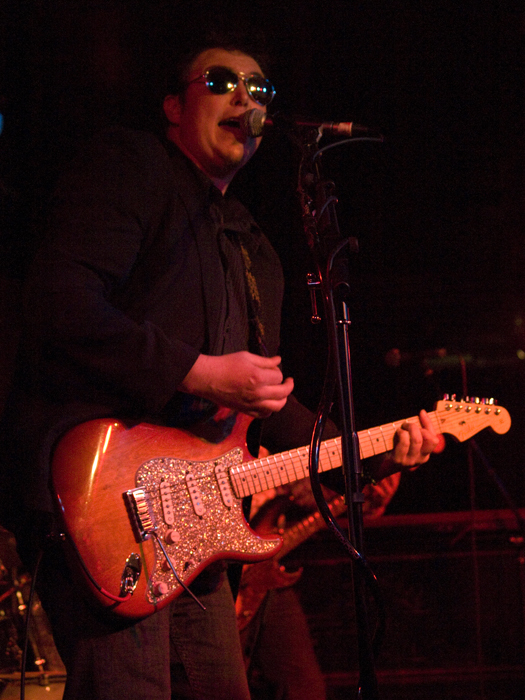 The first song to get this treatment was “Johnny 99”, transformed from the stripped-back album original to a full-on band arrangement with horns and fiddle from Soozie Tyrell which was followed by a rock version of “Reason to Believe” driven by Steve van Zandt’s guitar riff. The two audience requests obviously had The Boss in a “Nebraska” mood because “Atlantic City” completed a run of three songs from the album before rousing versions of “Wrecking Ball” and “Death to my Hometown” brought the first part of the show to a close. The band has been playing entire albums throughout this tour and tonight it was “Born in the USA”. If “Born to Run” was the album which made Springsteen famous, “Born in the USA” was the one which made him a global phenomenon with its crowd-pleasing anthems. It’s easy to forget how many classic songs come from the album until you hear it all live. With such a huge amount of great songs to choose from, it’s obvious (even with a three hour set) that some fans won’t get to hear their favourite song. I would have loved to hear “Highway Patrolman” or “Factory”, but I did get to hear “Bobby Jean”, so I’m pretty happy with that. As if we hadn’t heard enough anthems, after a relatively low-key close to the set, the encores kicked off with “Jungleland”, “Born to Run” and “Tenth Avenue Freeze-Out” and “American Land” before closing with the downbeat but very moving acoustic rendition of “My Lucky Day”. As a bit of break from forcing my opinions on you, I decided to get some feedback from Faye and Alice who came from Birmingham for the gig. Alice (who’s been going to Springsteen gigs since before she was born) loved the gig (not surprisingly) bouncing about and singing along to all the songs while Faye (who was seeing The Boss for the first time) was amazed at how good the show was and loved the idea of the band playing songs chosen by the audience. So, a big thumbs up from Faye and Alice. I hope you both had a safe journey home. Bruce Springsteen and the E Street Band are a live phenomenon; they can play for three hours without even scratching the surface of their repertoire and drop immediately into any song called by The Boss without missing a beat, but it’s not just the musicianship I admire. The E Street Band (and Southside Johnny, Gary Bonds, Bon Jovi and Billy Walton) are all part of a Jersey shore tradition of bands that give a hundred per cent and want to play all night because they love playing and they understand that a mainly blue-collar audience wants their favourite bands to give them everything they have; you work hard to earn your dollar and you expect bands to work just as hard to earn it from you. But there’s more to it than that. The Jersey shore bands are part of a family, literally and metaphorically. The Boss demonstrated that at Stratford by bringing his mother on for “Dancing in the Dark” and his sister Pam to accompany him at the close of the set. 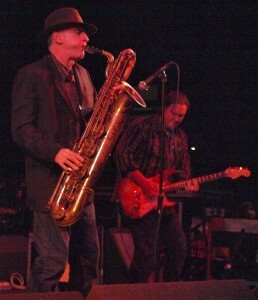 And don’t forget Clarence Clemons’ nephew Jake playing tenor sax. I’m convinced that “We Take Care of Our Own” from “Wrecking Ball” isn’t flag-waving patriotism, it’s about all the players, singers and songwriters whose spiritual home is The Stone Pony. It doesn’t matter how successful you become, you’re still just one of the Jersey crew; for every Bruce, Steve van Zandt and Jon Bon Jovi, there’s a Soozie Tyrell, Ed Manion and Bobby Bandiera and they all have a huge amount of mutual respect. If you can still get tickets for Springsteen gigs in the UK or Europe, then you should really give it a try; you won’t be disappointed. I don’t want to alarm you but, this summer, our gig venues (large and small) are about to be invaded by bands from New Jersey. There are 4 bands from the area touring our sceptred isle over the next few months, so here’s a quick rundown on who’s touring when. Just in case I need a sledgehammer to get this message home, some great music has come out of New Jersey (and I haven’t even got on to Patti Smith, Gary Bonds and The Four Seasons). Some bands have been incredibly successful over a long period of time and some haven’t; what the bands touring the UK this summer have in common is mutual respect and shared personnel. 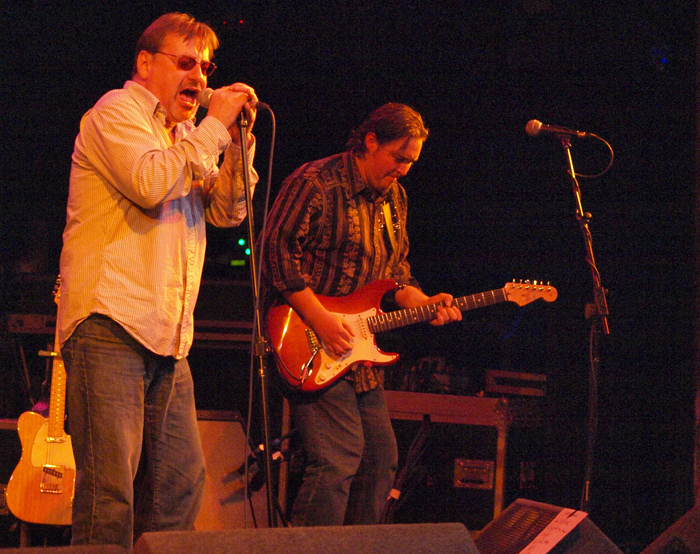 You can probably still get tickets for The Boss and Bon Jovi but, if they’re playing anywhere near you, try to get out and see Southside Johnny and Billy Walton; you won’t regret it.